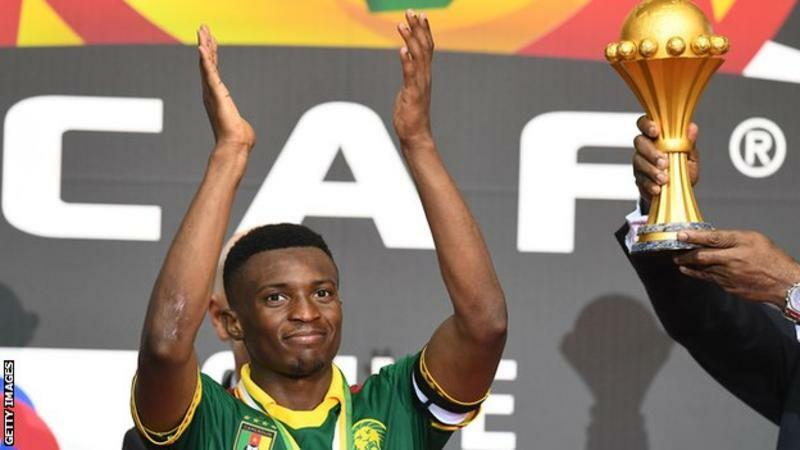 Cameroon captain Benjamin Moukandjo has retired from international football at the age of 29. The China-based player captained the Indomitable Lions to their fifth continental title at the 2017 Africa Cup of Nations in Gabon. Moukandjo who was dropped from the squad that played Comoros earlier this month made the decision after new head coach Clarence Seedorf castigated players based in Asia, saying they don’t fit in his selection. “I found the recent comments by Mr Clarence Seedorf very brash and unfair. Unfair because despite being the team captain, I never received a call from the coach to inform me about his decision,” Moukandjo said in a press release. “My real level and that of my other team-mates should’ve been assessed on the pitch before the coach made his decision to sideline any player. “I am proud of the time I spent with the Indomitable Lions and I would like to thank all my team-mates who supported and trusted in me. I am convinced in all humility that I have accomplished my mission, living up to the expectations of my country. “I wish the team good luck for the next Africa Cup of Nations and I hope they will be able to win it for the honour of Cameroon,” Moukandjo added.